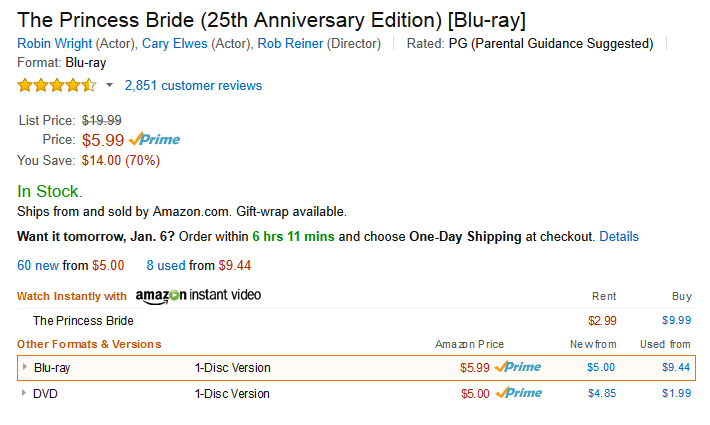 The Princess Bride 25th Anniversary Blu-ray DVD Only $5.99 + FREE Prime Shipping (Reg. $20)! 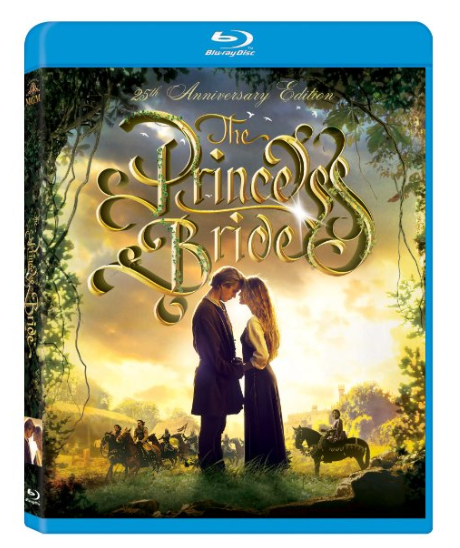 You are here: Home / Great Deals / Amazon Deals / The Princess Bride 25th Anniversary Blu-ray DVD Only $5.99 + FREE Prime Shipping (Reg. $20)! Wow!! This HOT price is back, but HURRY! Right now you can get The Princess Bride 25th Anniversary Blu-ray DVD for only $5.99 (Reg. $20)!